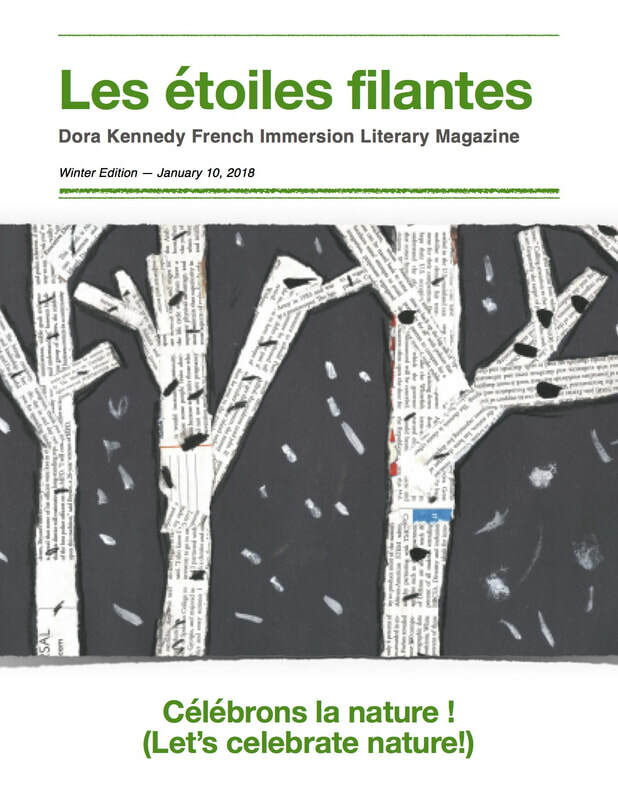 Welcome to the home of our student literary & arts magazine, Les étoiles filantes (the Shorting Stars)! 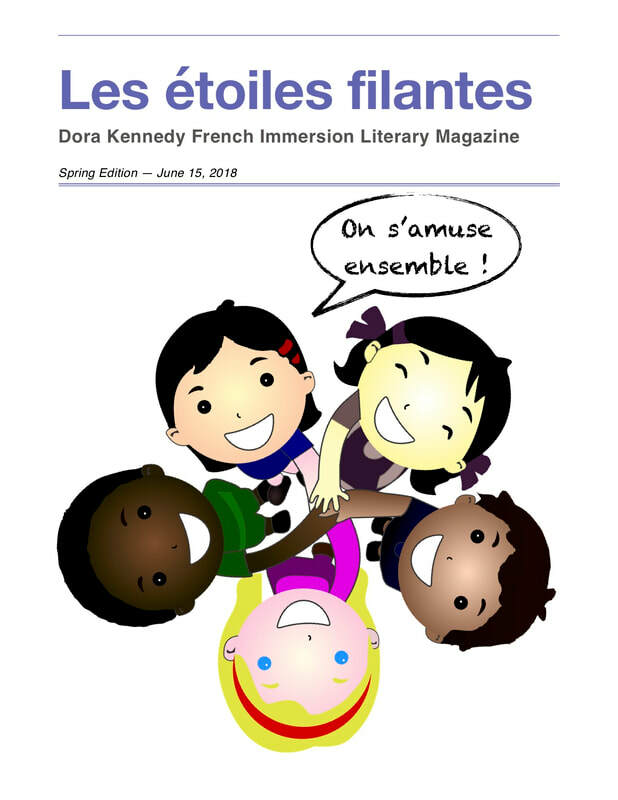 Les étoiles filantes, meaning shooting stars in French, was a monthly French student-written, 2-page publication that was produced for 5 years, from 2008 to 2013, at Dora Kennedy French Immersion (formerly Robert Goddard French Immersion). In the beginning, it was created in order to encourage and reward all types of student writing in grades K-8. 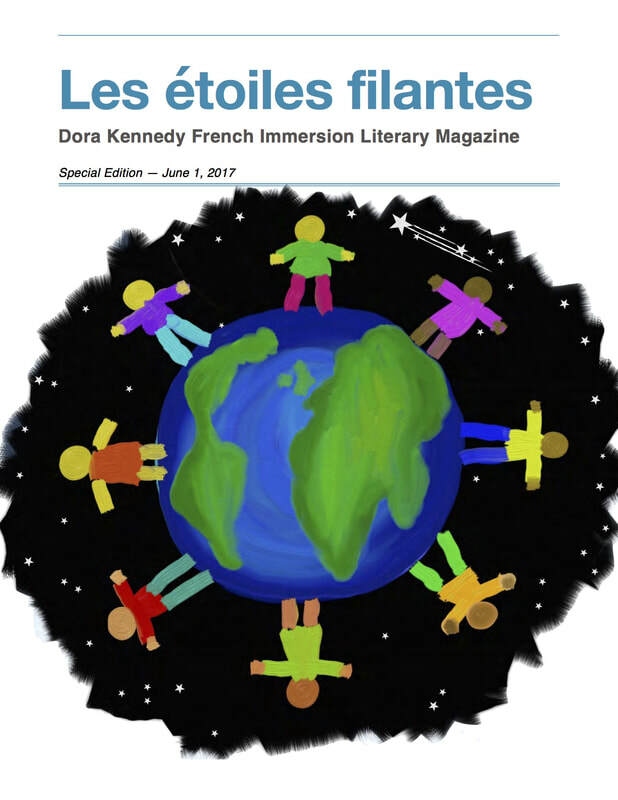 In an effort to highlight the students’ talents in our school, we revived Les étoiles filantes for a special 2017 edition. This time, we have changed the original formula a little bit to include a limited number of English pieces, as well as student art work. Since then, Les étoiles filantes has become a semesterly publication. 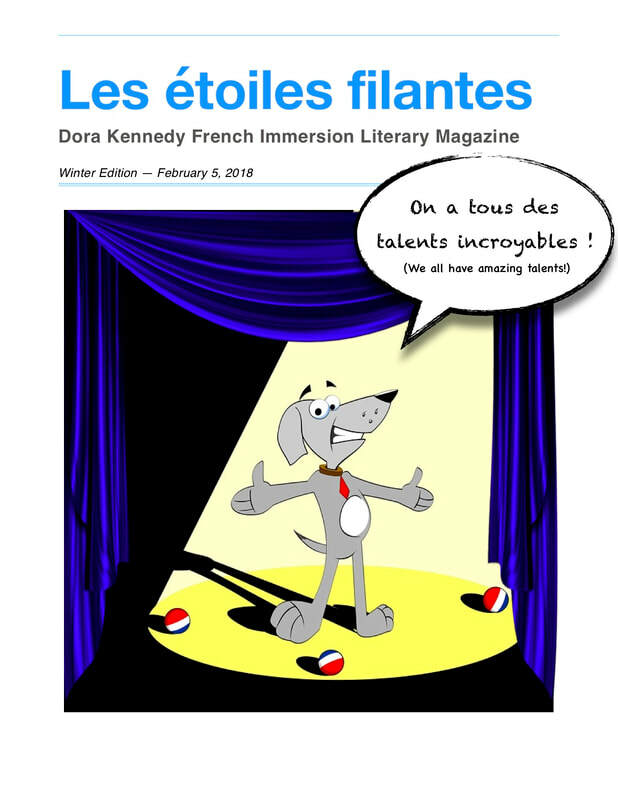 This issue’s theme is: On a tous des talents incroyable ! (We all have amazing talents!) As you flip through the pages, you will experience our students’ interpretations of this idea across the grade levels. This project is a joint effort between our school and the PTA, symbolizing our close partnership. We hope you enjoy this student literary and artistic production.